When: Friday at 7:30 p.m., Sunday at 3 p.m.
Part of the Clemente Cultural Center's "Fearless Series," created in response to the Pulse nightclub shooting, Migguel Anggelo's "Welcome to La Misa, Baby" is a one-man show set in a gay disco the delves into the queer Latino immigrant experience. When: Friday and Saturday, 4 p.m. to 8 p.m.
Children ages 8 to 14 are invited to attend a “fright walk” at the Chelsea Rec Center on Friday and Saturday. The event will include a haunted walk, pumpkin decorating and candy. Costumes are encouraged. Attendees can RSVP to Teresa.Cuevas@parks.nyc.gov. A three-day Greek food festival featuring music and dancing in Upper Manhattan. Delicacies include homemade moussaka, souvlaki, spanakopita and Greek desserts. When: Noon to 5 p.m.
It’s the Día de los Muertos at the museum, with offerings of “bread of the dead,” making paper marigolds, and plenty of gifts from La Sirena, a Mexican folk art store from the East Village. Performer Rick Skye is starring in a new monthly variety show at Don’t Tell Mama’s opening this Friday. The show “will feature Skye’s heralded impersonation as Liza Minnelli singing in his own voice” and “showcase award-winning impersonations, guest performers and Skye’s Kit Kat Boyz.” The venue has a $20 cover and a two-drink minimum. Attendees can RSVP online. Where: Asphalt Green Battery Park City Campus at 212 North End Ave. and Upper East Side Campus at 555 E. 90th St. When: 4 p.m. to 6 p.m. Sport and fitness organization Asphalt Green will host its seventh annual family Halloween event at both its Battery Park City and Upper East Side locations, featuring trick-or-treating, scary stories and other fun for all ages. The first 500 kids at each location will get a goody bag. The event is free and open to the public. When: 2 p.m. to 6 p.m. Explore the 30 repurposed halls of the museum for trick-or-treating, arts and crafts, roaming cartoon characters and live performances. Tickets are $15 for non-members, $12 for members. The Crown is hosting a Halloween party this weekend, with a live DJ and Halloween cocktails like the “Frankenstein,” with white rum, Thai basil, pineapple pernod and stitches (unclear how the stitches come into play). Tickets are $25 and can be purchased online. When: 11 a.m. to 4 p.m. The Meatpacking District’s fall festival will feature foods, crafts, art, music and “fun free activities.” Vendors including Ample Hills Creamery and Brunetti Pizza will be in attendance. Attendees can RSVP for free online. When: 2 p.m. to 4 p.m.
Monarch Rooftop & Indoor Lounge is hosting a pumpkin carving contest for patrons of all ages this weekend. Drinking-aged attendees will be able to buy Halloween-themed cocktails — though there will also be complimentary non-alcoholic beverages and snacks — and all attendees will be able to participate in a raffle. Proceeds will be donated to the B Strong foundation. Start Saturday off with a human bark competition, a Halloween pet costume parade, and a 5K in Hamilton Heights. The parade is as much for people as it is for dogs. Pets with the best costumes will receive prizes. When: 10 a.m. to 5:30 p.m. The Grand Bazaar’s Sunday market will be adding a spooky twist for Halloween. Hundreds of vendors will be in-costume and ready for trick-or-treaters alongside the hourly puppet shows and unique candy offerings. The Chelsea Community Church is hosting an “informal service devoted to singing old favorites” this weekend. Anyone can attend and call out requests for songs. The service will be dedicated to the church’s late pianist and music director Jerry Scott and his partner Gavin Traver. 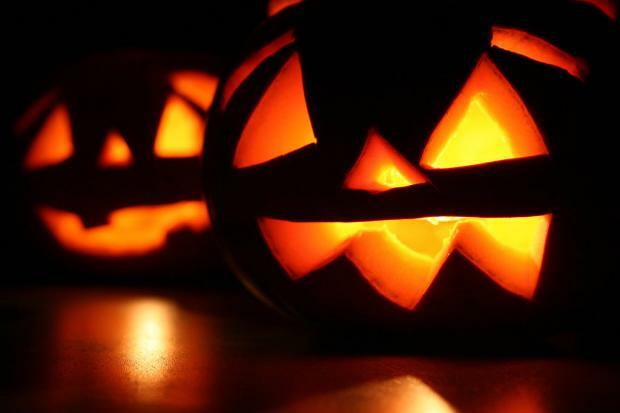 Where: 4 p.m. to 7 p.m.
Pumpkin carving, arts and crafts, a costume parade and the pumpkin flotilla, during which a bunch of jack-o-lanterns float along the water at twilight. These listings were compiled by DNAinfo's Manhattan reporters Allegra Hobbs, Maya Rajamani, Gustavo Solis and Jackson Chen.